Participating Mitsubishi dealers. Purchased before 30/06/2019. Mitsubishi reserves the right to extend or modify these offers. See participating dealers for full terms and conditions. Excludes Government, Rental and National Fleet customers. Private buyers and ABN holders only. 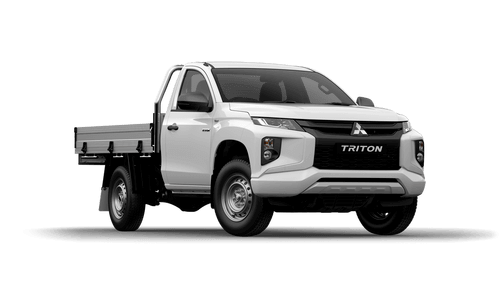 †7 Year Warranty limited to new Triton MY19 only purchased between 17/12/2018 and 30/06/2019. Excludes Government, Rental and National Fleet Customers. Not available in conjunction with any other offer. Conditions apply. 7 Year/150,000km (whichever occurs first). Service conditions apply. Valid from date of vehicle registration. Conditions apply. ^3 year or 45,000km Capped Price Servicing (whichever occurs first). Covers all items specified under the standard “Maintenance for normal operating conditions” scheduled detailed in the service warranty booklet. 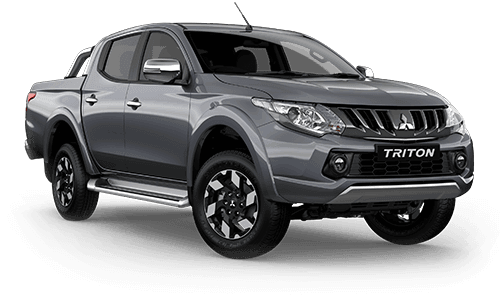 Additional service/ repair items (if required) are at additional cost*..
†7 Year Warranty limited to new Triton MY19 only purchased between 17/12/2018 and 30/06/2019. Excludes Government, Rental and National Fleet Customers. Not available in conjunction with any other offer. Conditions apply. 7 Year/150,000km (whichever occurs first). Service conditions apply. Valid from date of vehicle registration. Conditions apply. *1 year Roadside Assist (Service conditions apply). 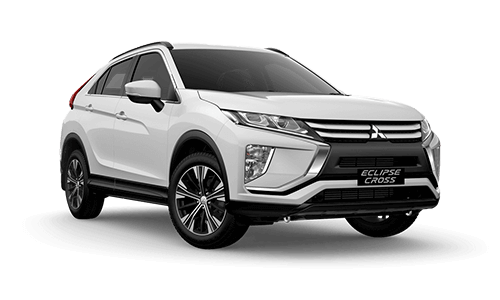 For purchases of new Mitsubishi vehicles after 1 January 2017, your initial 12 month roadside assist will be extended for a period of 12 months from the date of the most recent eligible Capped Price Service for that vehicle performed at an authorised Mitsubishi dealer. Roadside assist, if extended in accordance with these items, is available for a maximum of up to 4 years. Conditions apply. Once a schedule of capped price servicing costs are set for a model year, they are not changed for the life of the model. Excludes Government, Rental and National Fleet customers. ^3 year or 45,000km Capped Price Servicing (whichever occurs first). Covers all items specified under the standard "Maintenance for normal operating conditions" scheduled detailed in the service warranty booklet. Additional service/repair items (if required) are at additional cost. ~Subject to state regulations and towbar design. 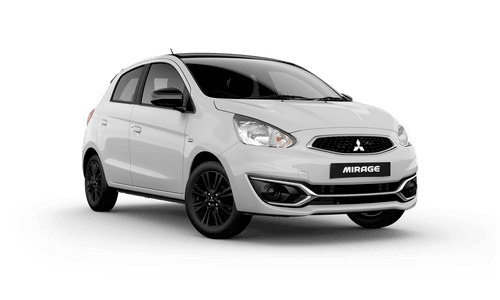 Participating Mitsubishi dealers, while stocks last. Mitsubishi reserves the right to extend or modify these offers. Offers available on selected new and demonstrator vehicles purchased between 1 April and 30 April 2019. Private Buyers and ABN buyers. Excludes Government, Rental & National Fleet buyers. 1Recommended DRIVE AWAY selling price, including 12 months registration, CTP insurance, Stamp Duty & Dealer Delivery. †7 Year/150,000km warranty (whichever occurs first). Service conditions apply. Valid from date of vehicle registration. *2 years/30,000km (whichever occurs first). Includes the first 2 regular services (15,000km/1 year and 30,000km/2 year). Any non-regular service/repair items are at an additional cost. Servicing must be completed by a Mitsubishi Dealer within 7,500kms or 6 months of the service due date. Valid from date of vehicle registration. #Genuine accessories at RRP and include fitment. Offer cannot be substituted for a reduction in the advertised drive away price or exchanged for cash. Conditions apply. See Mitsubishi-motors.com.au for further information. †7 year or 150,000km New Vehicle Warranty (whichever comes first). Service conditions apply. +1 year Roadside Assist (Service conditions apply). 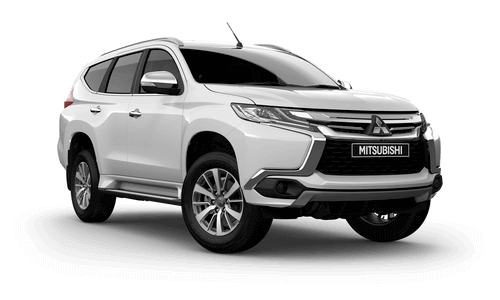 For purchases of new Mitsubishi vehicles after 1 January 2017, your initial 12 month roadside assist will be extended for a period of 12 months from the date of the most recent eligible Capped Price Service for that vehicle performed at an authorised Mitsubishi dealer. Roadside assist, if extended in accordance with these items, is available for a maximum of up to 4 years. Conditions apply. Once a schedule of capped price servicing costs are set for a model year, they are not changed for the life of the model. Excludes Government, Rental and National Fleet customers. ^3 year or 45,000km Capped Price Servicing (whichever occurs first). Covers all items specified under the standard "Maintenance for normal operating conditions" scheduled detailed in the service warranty booklet. Additional service/repair items (if required) are at additional cost. Participating Mitsubishi dealers only. While stocks last. 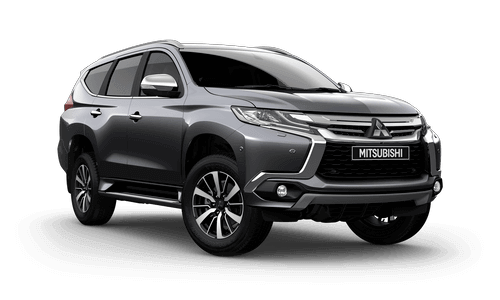 Mitsubishi Motors Australia reserves the right to extend or modify these offers. Offer valid for vehicles delivered by or before June 30, 2019. Excludes Govt, Rental and National Fleet buyers. See participating dealers for full Terms and Conditions. 1Recommended DRIVE AWAY selling price includes 12 months registration, CTP insurance, Stamp Duty & Dealer Delivery. 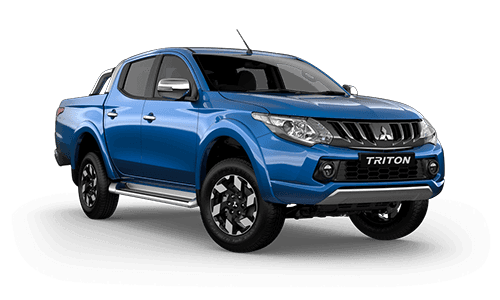 +7 Year Warranty limited to new Triton MY19 models only purchased between 17/12/2018 and 30/06/2019. 7 year or 150,000km New Vehicle Warranty (whichever comes first). Service conditions apply. Valid from date of vehicle registration. 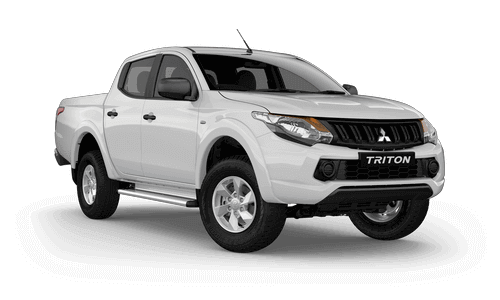 †7 Year warranty available on new and demonstrator 19MY Triton. 7 Year/150,000km (whichever occurs first). Service conditions apply. Valid from date of vehicle registration. 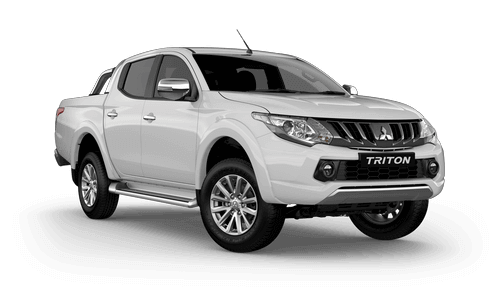 Introductory offer until June 30th - see mitsubishi-motors.com.au for further information. *1 year Roadside Assist (Service conditions apply). For purchases of new Mitsubishi vehicles after 1 January 2017, your initial 12 month roadside assist will be extended for a period of 12 months from the date of the most recent eligible Capped Price Service for that vehicle performed at an authorised Mitsubishi dealer. Roadside assist, if extended in accordance with these items, is available for a maximum of up to 4 years. Conditions apply. Once a schedule of capped price servicing costs are set for a model year, they are not changed for the life of the model. Excludes Government, Rental and National Fleet customers. ^Lowest capped priced servicing per kilometre (3 year duration). Condition apply. See mitsubishi-motors.com.au for further information. Participating Mitsubishi dealers only. While stocks last. 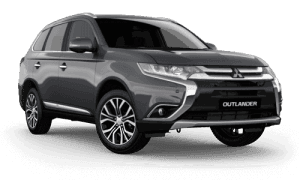 Mitsubishi Motors Australia reserves the right to extend or modify these offers. Offer valid for vehicles delivered by or before June 30, 2019. Excludes Govt, Rental and National Fleet buyers. See participating dealers for full Terms and Conditions. 1Recommended DRIVE AWAY selling price includes 12 months registration, CTP insurance, Stamp Duty & Dealer Delivery. 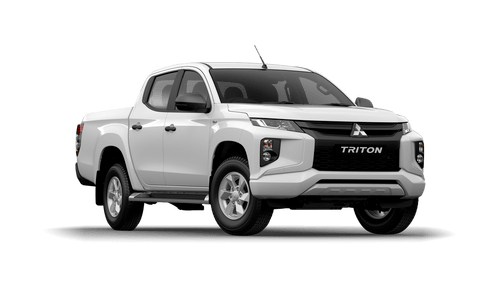 +7 Year Warranty limited to new Triton MY19 models only purchased between 17/12/2018 and 30/06/2019. 7 year or 150,000km New Vehicle Warranty (whichever comes first). Service conditions apply. Valid from date of vehicle registration. ^3 year or 45,000km Capped Price Servicing (whichever occurs first). 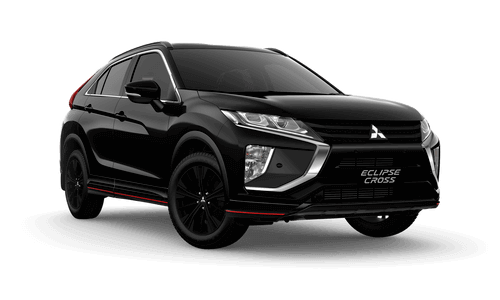 Covers all items specified under the standard Regular Service Table for normal operating conditions detailed in the Periodic Inspection and Maintenance Schedule on the Mitsubishi website. Additional service/repair items (if required) are at additional cost. Excludes Government, Rental and National Fleet customers. Participating Mitsubishi dealers only. While stocks last. 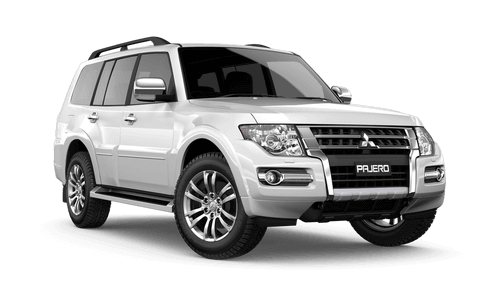 Mitsubishi Motors Australia reserves the right to extend or modify these offers. Offer valid for vehicles delivered by or before April 30, 2019. Excludes Govt, Rental and National Fleet buyers. See participating dealers for full Terms and Conditions. 1Recommended DRIVE AWAY selling price includes 12 months registration, CTP insurance, Stamp Duty & Dealer Delivery. 3Bonus is redeemed at point of purchase as a deduction from the advertised drive away price. Private buyers and ABN holders only. †5 year or 100,000km New Vehicle Warranty (whichever comes first). Service conditions apply. *1 year Roadside Assist (Service conditions apply). 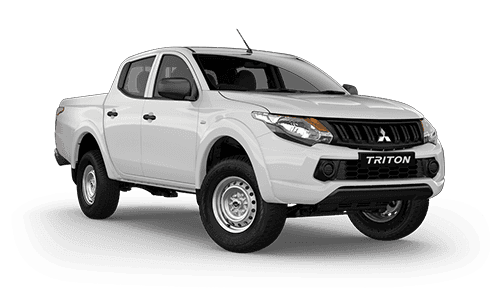 For purchases of new Mitsubishi vehicles after 1 January 2017, your initial 12 month roadside assist will be extended for a period of 12 months from the date of the most recent eligible Capped Price Service for that vehicle performed at an authorised Mitsubishi dealer. Roadside assist, if extended in accordance with these items, is available for a maximum of up to 4 years. Conditions apply. Once a schedule of capped price servicing costs are set for a model year, they are not changed for the life of the model. Excludes Government, Rental and National Fleet customers. ^3 year or 45,000km Capped Price Servicing (whichever occurs first). Covers all items specified under the standard "Maintenance for normal operating conditions" scheduled detailed in the service warranty booklet. Additional service/repair items (if required) are at additional cost. ~Subject to state regulations and towbar design. †5 year or 100,000km New Vehicle Warranty (whichever comes first). Service conditions apply. *1 year Roadside Assist (Service conditions apply). 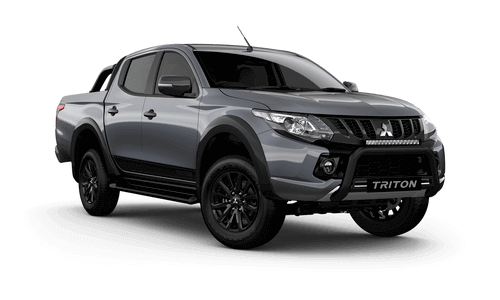 For purchases of new Mitsubishi vehicles after 1 January 2017, your initial 12 month roadside assist will be extended for a period of 12 months from the date of the most recent eligible Capped Price Service for that vehicle performed at an authorised Mitsubishi dealer. Roadside assist, if extended in accordance with these items, is available for a maximum of up to 4 years. Conditions apply. Once a schedule of capped price servicing costs are set for a model year, they are not changed for the life of the model. Excludes Government, Rental and National Fleet customers. ^3 year or 45,000km Capped Price Servicing (whichever occurs first). Covers all items specified under the standard "Maintenance for normal operating conditions" scheduled detailed in the service warranty booklet. Additional service/repair items (if required) are at additional cost. Participating Mitsubishi dealers only. While stocks last. 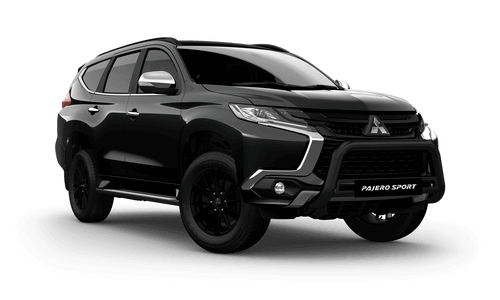 Mitsubishi Motors Australia reserves the right to extend or modify these offers. Offer valid for vehicles delivered by or before April 30, 2019. Excludes Govt, Rental and National Fleet buyers. See participating dealers for full Terms and Conditions. 1Recommended DRIVE AWAY selling price includes 12 months registration, CTP insurance, Stamp Duty & Dealer Delivery. +7 Year/150,000km warranty (whichever occurs first). 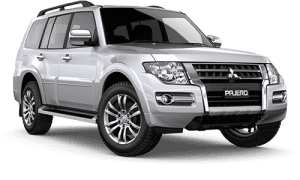 Warranty available on selected new and demonstrator 19MY Pajero Sport vehicles purchased between 1 April and 30 April 2019. Service conditions apply. Valid from date of vehicle registration. *2 years/30,000km (whichever occurs first). Includes the first 2 regular services (15,000km/1 year and 30,000km/2 year). Any non-regular service/repair items are at an additional cost. Servicing must be completed by a Mitsubishi Dealer within 7,500kms or 6 months of the service due date. Valid from date of vehicle registration. #Genuine accessories at RRP and include fitment. Offer cannot be substituted for a reduction in the advertised drive away price or exchanged for cash. †7 year or 150,000km New Vehicle Warranty (whichever comes first). Service conditions apply. *1 year Roadside Assist (Service conditions apply). For purchases of new Mitsubishi vehicles after 1 January 2017, your initial 12 month roadside assist will be extended for a period of 12 months from the date of the most recent eligible Capped Price Service for that vehicle performed at an authorised Mitsubishi dealer. Roadside assist, if extended in accordance with these items, is available for a maximum of up to 4 years. Conditions apply. Once a schedule of capped price servicing costs are set for a model year, they are not changed for the life of the model. Excludes Government, Rental and National Fleet customers. ^3 year or 45,000km Capped Price Servicing (whichever occurs first). Covers all items specified under the standard "Maintenance for normal operating conditions" scheduled detailed in the service warranty booklet. Additional service/repair items (if required) are at additional cost. ~Smartphone Link Display Audio will not operate in areas with no service signal and may not operate in supported areas where the signal is weak. Participating Mitsubishi dealers only. While stocks last. 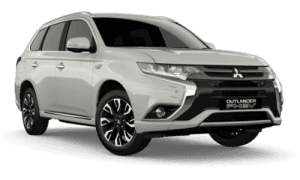 Mitsubishi Motors Australia reserves the right to extend or modify these offers. Offer valid for vehicles delivered by or before April 30, 2019. Excludes Govt, Rental and National Fleet buyers. See participating dealers for full Terms and Conditions. 1Recommended DRIVE AWAY selling price includes 12 months registration, CTP insurance, Stamp Duty & Dealer Delivery. +7 Year/150,000km warranty (whichever occurs first). 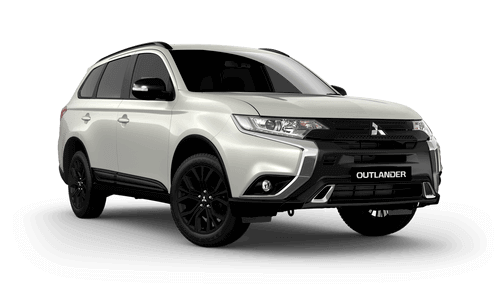 Warranty available on selected new and demonstrator 19MY Outlander vehicles purchased between 1 April and 30 April 2019. Service conditions apply. Valid from date of vehicle registration. *2 years/30,000km (whichever occurs first). Includes the first 2 regular services (15,000km/1 year and 30,000km/2 year). Any non-regular service/repair items are at an additional cost. 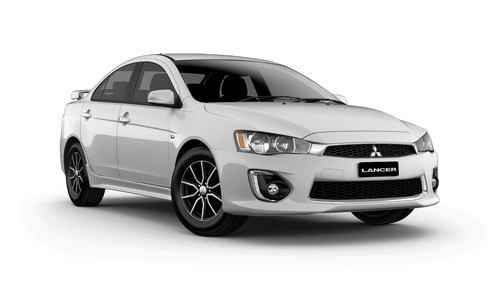 Servicing must be completed by a Mitsubishi Dealer within 7,500kms or 6 months of the service due date. Valid from date of vehicle registration. #Genuine accessories at RRP and include fitment. Offer cannot be substituted for a reduction in the advertised drive away price or exchanged for cash. Participating Mitsubishi dealers only. While stocks last. 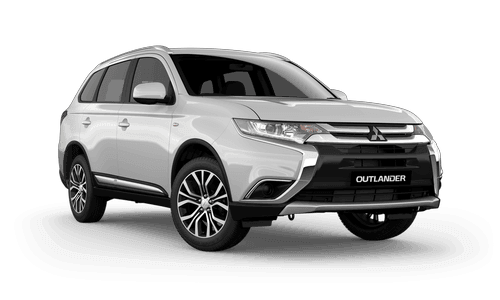 Mitsubishi Motors Australia reserves the right to extend or modify these offers. Offer valid for vehicles delivered by or before April 30, 2019. Excludes Govt, Rental and National Fleet buyers. See participating dealers for full Terms and Conditions. 1Recommended DRIVE AWAY selling price includes 12 months registration, CTP insurance, Stamp Duty & Dealer Delivery. +7 Year/150,000km warranty (whichever occurs first). 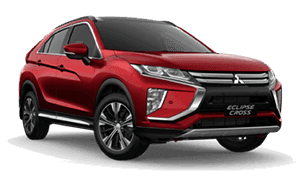 Warranty available on selected new and demonstrator 19MY Eclipse Cross vehicles purchased between 1 April and 30 April 2019. Service conditions apply. Valid from date of vehicle registration. *2 years/30,000km (whichever occurs first). Includes the first 2 regular services (15,000km/1 year and 30,000km/2 year). Any non-regular service/repair items are at an additional cost. 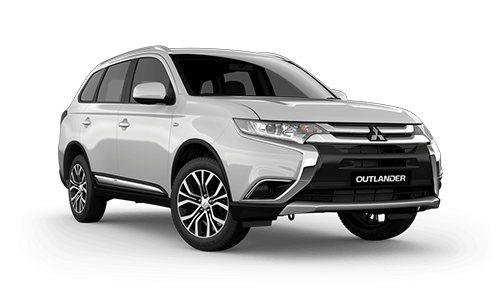 Servicing must be completed by a Mitsubishi Dealer within 7,500kms or 6 months of the service due date. Valid from date of vehicle registration. #Genuine accessories at RRP and include fitment. Offer cannot be substituted for a reduction in the advertised drive away price or exchanged for cash. Participating Mitsubishi dealers only. While stocks last. 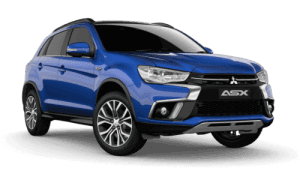 Mitsubishi Motors Australia reserves the right to extend or modify these offers. Offer valid for vehicles delivered by or before April 30, 2019. Excludes Govt, Rental and National Fleet buyers. See participating dealers for full Terms and Conditions. 1Recommended DRIVE AWAY selling price includes 12 months registration, CTP insurance, Stamp Duty & Dealer Delivery. +7 Year/150,000km warranty (whichever occurs first). 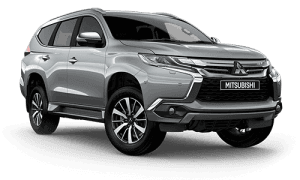 Warranty available on selected new and demonstrator 19MY ASX vehicles purchased between 1 April and 30 April 2019. Service conditions apply. Valid from date of vehicle registration. *2 years/30,000km (whichever occurs first). Includes the first 2 regular services (15,000km/1 year and 30,000km/2 year). Any non-regular service/repair items are at an additional cost. 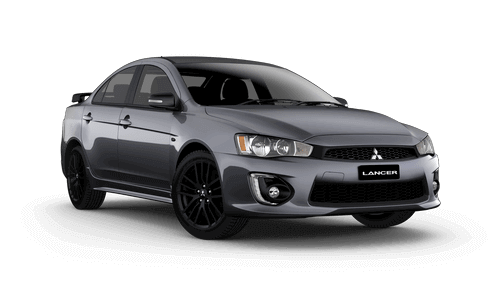 Servicing must be completed by a Mitsubishi Dealer within 7,500kms or 6 months of the service due date. Valid from date of vehicle registration. #Genuine accessories at RRP and include fitment. Offer cannot be substituted for a reduction in the advertised drive away price or exchanged for cash. †7 year or 150,000km New Vehicle Warranty (whichever comes first). Service conditions apply. *1 year Roadside Assist (Service conditions apply). 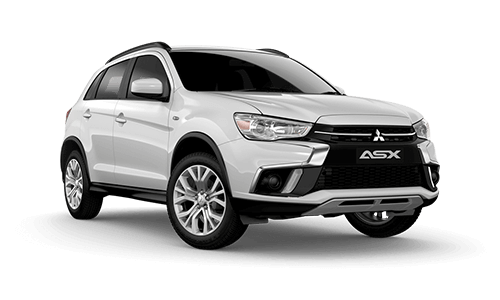 For purchases of new Mitsubishi vehicles after 1 January 2017, your initial 12 month roadside assist will be extended for a period of 12 months from the date of the most recent eligible Capped Price Service for that vehicle performed at an authorised Mitsubishi dealer. Roadside assist, if extended in accordance with these items, is available for a maximum of up to 4 years. Conditions apply. Once a schedule of capped price servicing costs are set for a model year, they are not changed for the life of the model. Excludes Government, Rental and National Fleet customers. ^3 year or 45,000km Capped Price Servicing (whichever occurs first). Covers all items specified under the standard "Maintenance for normal operating conditions" scheduled detailed in the service warranty booklet. Additional service/repair items (if required) are at additional cost. Participating Mitsubishi dealers only. While stocks last. 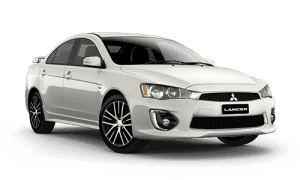 Mitsubishi Motors Australia reserves the right to extend or modify these offers. Offer valid for vehicles delivered by or before April 30, 2019. Excludes Govt, Rental and National Fleet buyers. See participating dealers for full Terms and Conditions. 1Recommended DRIVE AWAY selling price includes 12 months registration, CTP insurance, Stamp Duty & Dealer Delivery. †5 year or 100,000km New Vehicle Warranty (whichever comes first). Service conditions apply. *1 year Roadside Assist (Service conditions apply). 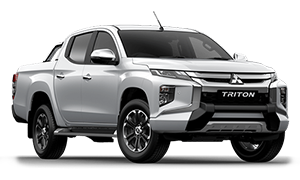 For purchases of new Mitsubishi vehicles after 1 January 2017, your initial 12 month roadside assist will be extended for a period of 12 months from the date of the most recent eligible Capped Price Service for that vehicle performed at an authorised Mitsubishi dealer. Roadside assist, if extended in accordance with these items, is available for a maximum of up to 4 years. Conditions apply. Once a schedule of capped price servicing costs are set for a model year, they are not changed for the life of the model. Excludes Government, Rental and National Fleet customers. ^3 year or 45,000km Capped Price Servicing (whichever occurs first). Covers all items specified under the standard "Maintenance for normal operating conditions" scheduled detailed in the service warranty booklet. Additional service/repair items (if required) are at additional cost. ~Australian Standard ADR 81/02. Figures to be used for comparison across vehicles. Driving conditions will affect actual results. 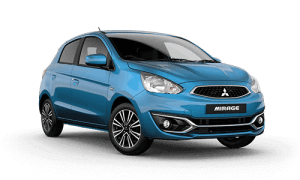 Participating Mitsubishi dealers, while stocks last. Mitsubishi reserves the right to extend or modify these offers. Offers available on selected new and demonstrator vehicles purchased between 1 April and 31 April 2019. Private Buyers and ABN buyers. Excludes Government, Rental & National Fleet buyers. 1. Recommended DRIVE AWAY selling price, including 12 months registration, CTP insurance, Stamp Duty & Dealer Delivery. 2. Bonus is redeemed at point of purchase as a deduction from the advertised drive away price. †7 Year/150,000km warranty (whichever occurs first). 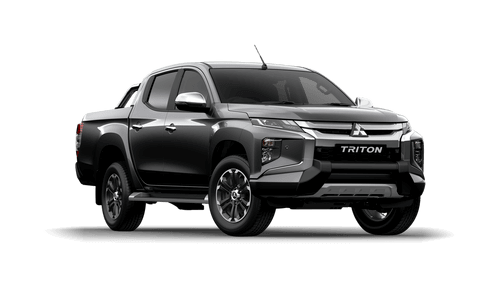 Warranty available on new 19MY Triton models purchased between 17/12/2018 and 30/06/2019 and selected new and demonstrator 19MY ASX, 19MY Eclipse Cross, 19MY Outlander, 18MY Pajero & 19MY Pajero Sport vehicles purchased between 1 April and 30 April 2019. Service conditions apply. Valid from date of vehicle registration. *2 years/30,000km (whichever occurs first). Includes the first 2 regular services (15,000km/1 year and 30,000km/2 year). Any non-regular service/repair items are at an additional cost. Servicing must be completed by a Mitsubishi Dealer within 7,500kms or 6 months of the service due date. Valid from date of vehicle registration. #Genuine accessories at RRP and include fitment. Offer cannot be substituted for a reduction in the advertised drive away price or exchanged for cash. ^3 year or 45,000km Capped Price Servicing (whichever occurs first). 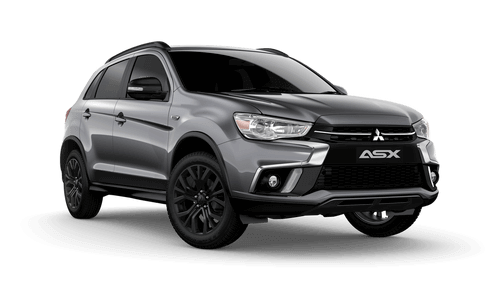 Covers all items specified under the standard "Regular Service Table" for normal operating conditions detailed in the Periodic Inspection and Maintenance Schedule on the Mitsubishi website. Additional service/repair items (if required) are at additional cost. Conditions apply. See Mitsubishi-motors.com.au for further information.